My friend Randy Bennett explains in his latest article below exactly why men do some of the strange things that they do. 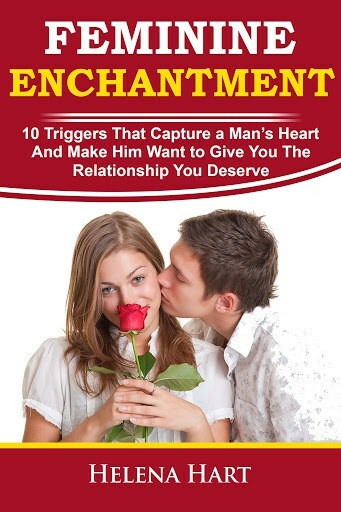 But more importantly, he details how you can use this knowledge to inspire your man to treat you better – and wake him up to the amazing woman he has right in front of him – YOU! Randy’s a licensed relationship expert, with 25 years of experience counseling successful couples – so he definitely knows what he’s talking about. Enjoy! Have you ever wondered why men do some of the CRAZY things they do? Do you ever feel completely puzzled by a man’s behavior? If it seems like sometimes his behavior is completely weird or irrational, don’t feel bad – because you’re exactly right! You see, science teaches us that while some of our desires and drives are conscious, many of them are not. This is ESPECIALLY true for men. While most men would never admit this (most don’t even know it), some of their behaviors, drives, and desires are biologically driven. In other words, in some areas, men don’t have a choice. They’re simply “wired” a certain way. This is why a man can seem considerate and thoughtful one moment, and callous and cold a few seconds later. But don’t worry – none of this is an excuse to let him get away with bad behavior. In fact, it’s a key to getting what you want from your man. Women generally want connection and family – they define themselves by their relationships. They have the nurturing instinct, the need to take care of others and maintain the health and wellness of the people they care for. Men, however, generally identify themselves by what they do – they want to be providers. A man has a need to take care of the family and be the breadwinner. It’s a subconscious need – most men are not even aware that they have this need or drive. While men have many of these subconscious drives, there are at least five basic needs that ALL men have deep within themselves; if any of these needs are not being met, it will cause problems in your relationship. All you have to do is meet these five basic needs consistently to see your relationship transformed right before your eyes. Meeting these needs gives you a great deal of influence with your man – he’ll be willing to do almost ANYTHING you ask, at the drop of a hat, because you’ve suddenly become the source of most of the good feelings he’s having in his life. He may not even realize what’s happening. The best part is, this is “ethical influence” because you’re meeting his most basic psychological needs. Not wants, but needs. It’s as if you’re nourishing his soul. And what do YOU get out of the deal? The man you want – the man who adores you, shows true affection towards you, and puts you ahead of everything else in his life. P.S. – A man’s brain and behavior can be tough to predict – but I’ve identified a set of secret triggers, that when accessed, will “wake him up” so that he’s more interested in YOU than in anything else. By using a particular set of words and phrases – triggers that set off new patterns in his brain – you’ll cause your man to automatically see you, hear you, and UNDERSTAND you. He’ll listen to you without criticizing, and let you share your feelings without trying to “fix” you. And the best part is that I figured out how to do this WITHOUT trickery, manipulation, begging, or drama. 1 Response to "Why Men Do What They Do (And How To Use It To Your Advantage)"